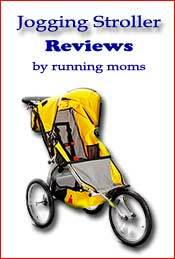 Jeep Jogging Stroller Reviewed. 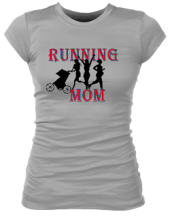 Cindy runs about 24 miles a week while pushing her toddler in her Jeep jogging stroller. Now that she is about to give birth to her second baby, she is not doing much running but still uses the Jeep when she goes for walks or takes her toddler to the mall, fair, zoo or anywhere else. 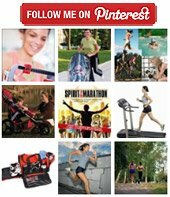 If you are choosing a jogging stroller for an older baby that needs to be entertained, or if you are choosing a stroller that is good both for running and getting around, read on for her review. The Overland Limited Jeep Jogging Stroller with the swivel wheel is AWESOME!!!! It is perfect for my toddler. He is VERY comfortable and LOVES being in the stroller. We also used it when he was only a few weeks old by reclining the seat all the way back and putting in a Kiddopotomus Snuzzler. I had a Jeep Liberty at the time and the stroller fit fine in the back of it without a problem. The stroller has a VERY smooth ride. Most of the time I was on a natural dirt/gravel trail around a lake and the stroller handled everything perfectly! I think the price is VERY reasonable considering the quality of stroller. I love that there is the "Music on the Move" feature as well as a parent tray and kid tray. Also, the underneath storage can't be beat, it is HUGE! The shade feature is good.....it could come down a bit farther like the BOB, but most of the time it is fine unless you are running into a setting or rising sun. I wouldn't call the stroller "lightweight" but I don't know that a sturdy jogger like this could really get any lighter....unless I guess I was made of a pricey lightweight metal, but then it would be really expensive. I give my Jeep Jogging Stroller an A++! Interested in buying this stroller? Click here to check out Amazon.com's current price.